The New Jersey Devils will have a familiar face around the team as former Devils’ great Patrik Elias will be spending time with the John Hynes and the Devils’ coaching staff for the final week of the season, according to NHL.com’s Amanda Stein. The former star player is interested in coaching and wants spend time with the staff and gain experience with working on a coach’s schedule. Elias, who played 1,240 games with the Devils over the course of his career, scored 408 goals and 1,025 points over that time. However, with his playing days over, he has shown more interest in coaching in the last year. Elias spent time with the Devils this summer and even asked Hynes about coaching the Czech National Team. Stein says that Elias will be on the ice with the Devils during practice and sit through coaching meetings. He is also expected to be assigned certain duties for the remainder of the season. The Tampa Bay Lightning are facing a scare as Victor Hedman left Saturday’s game during the second period. Evidently, the helmet of Washington Capitals forward Carl Hagelin hit Hedman on the chin accidentally and the Lightning announced that Hedman would not return to the game as a result of the incident. Any long-term loss could be devastating to a team that has been consistently dominant all season and can’t afford to be without their top defenseman for any extended period of time. Sportsnet’s Rick Dhaliwal reports that Vancouver Canucks prospect Will Lockwood will likely stay put and return to the University of Michigan. Lockwood, who just finished his junior year, had a breakout season with 16 goals and 31 points for the Wolverines. If Lockwood, the Canucks’ third-round pick from the 2016 draft, chooses to return to Michigan, he could play out his senior and opt to become a unrestricted free agent after that, free to sign with any team in the NHL. The Edmonton Journal’s Jim Matheson writes that the Edmonton Oilers might have a tough time signing their 2015 sixth-round pick John Marino, who just completed his junior season at Harvard. Unfortunately, because he played a season of USHL hockey, he could opt to become an unrestricted free agent now if he wants. The 21-year-old defenseman had three goals and 11 points for Harvard. In tonight’s “Insider Trading” segment on TSN, Darren Dreger reported that one free agent race is already heating up more than three months before unrestricted free agency opens in the NHL. Joakim Nygard, who is currently playing for the top-seeded Farjestad BK in Swedish Hockey League postseason, is looking to make the jump to the NHL this off-season and there is already considerable interest. Among the teams rumored to be leading the pack in the pursuit of Nygard are two Canadian clubs on opposite ends of the spectrum, the Calgary Flames and Ottawa Senators. It comes as little surprise that Nygard has been attracting attention this season. The 26-year-old forward is enjoying a career year in the SHL, skating on a line with Boston Bruins prospect Oskar Steen, the only Farjestad forward who has outscored him this season. Nygard played in all 52 regular season games this season, recording a career-high 21 goals and 35 points. Nygard finished second in the league goal-scoring race and helped to fuel his team to a top finish. Now he has to finish the job in the playoffs. After that, he will be free to leave and it looks certain that he is headed to the NHL. In fact, Dreger states that Nygard’s camp has been receiving interest for months now and the move across the Atlantic has been a long time coming. He reports that several GM’s have checked in on Nygard over in Sweden this season, but says that the Flames and Senators specifically are “in hard”. Dreger also offers an NHL comparison for Nygard in Carl Hagelin, stating that Nygard’s skating ability is elite and he can “flat out fly”. The book on Nygard had been that he has the physical and technical tools down, but was still raw in his hockey sense and execution. It seems that he has improved in that area over the past few years and is now ready to show his complete game at the next level. The battle to sign Nygard will be especially interesting because money won’t be the main bargaining chip. At 26, Nygard will still be forced to sign a one-year entry-level contract, meaning his immediate NHL earnings are capped no matter where he goes. More likely than not, opportunity will be the defining factor in the Swede’s decision. If that is the case, one would think Ottawa would have a major leg up as a team needing to replace several top-nine forwards before next season. Could the Senators start the off-season off early by adding Nygard? Keep an eye out once Farjestad’s season ends in the next month or so. The Washington Capitals were bound to make a move of some sort after waiving Devante Smith-Pelly yesterday, and it comes in the form of Carl Hagelin. The Capitals have acquired Hagelin from the Los Angeles Kings in exchange for a 2019 third-round pick and a conditional 2020 sixth-round pick. The Kings will be retaining 50% of what remains on Hagelin’s contract, which had already been involved in a retained salary transaction earlier in the year and expires at the end of this season. According to Pierre LeBrun of The Athletic, the sixth-round pick will be sent to Los Angeles if the Capitals win two playoff rounds and Hagelin plays in 50% of any two rounds combined. We are pleased to welcome Carl to our organization. We felt this trade enables us to add depth up front and provides us with a veteran player with a tremendous amount of speed to help us on the penalty kill. 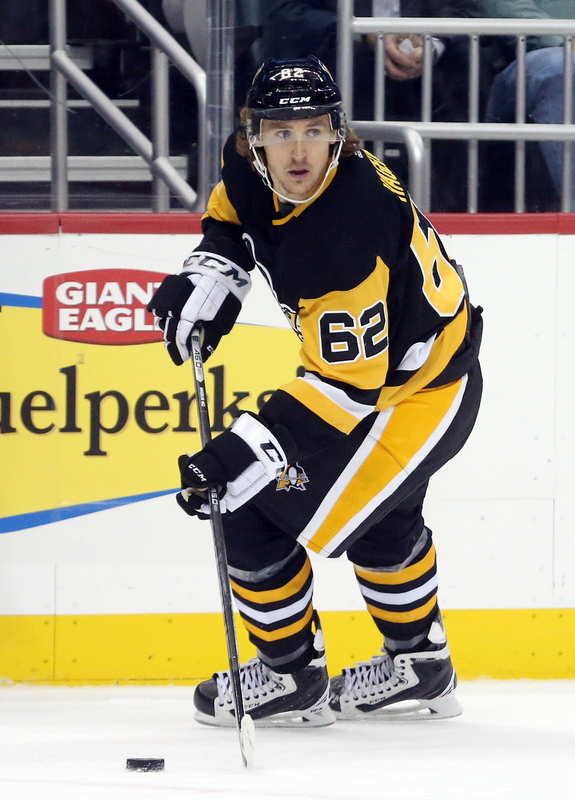 If there is one thing Hagelin is still known for, it is that speed. One of the fastest players in the NHL, he will jump into the Capitals bottom-six and replace a player in Smith-Pelly who has slowed considerably this season. There’s a good chance the former Penguins forward will also become a trusted penalty killer, a role that he has excelled at over the years. For the Kings, this was always the plan after acquiring Hagelin from the Penguins in exchange for Tanner Pearson earlier this year. 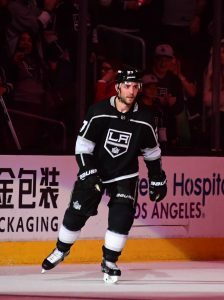 As an expiring contract he was never expected to stay the whole season in Los Angeles, where the team is committed to a short rebuild after getting off to such a slow start. The Kings now have ten picks in the upcoming draft including five in the first three rounds. The team could acquire even more by selling off other names like Ilya Kovalchuk, Tyler Toffoli or Alec Martinez, but it is unclear if they will really want to move on from those more important players. Washington meanwhile is happy to give up a third-round selection to add some Stanley Cup experience to the team for another playoff run. While other teams were giving away their first-round picks last year to try and load up at the deadline, the Capitals decided to hold onto theirs and actually selected three times in the first two rounds. Once again they still have their first and second for the upcoming draft, ensuring that more young talent will continue to flow into their system. Even with the retained salary on Hagelin’s deal, the Capitals are right up against the cap and have almost no room to do anything else at the deadline. They could however move out some other names that have been rumored, including Dmitrij Jaskin who was expected to be placed on waivers yesterday. If not, this is the group they’ll have to ride until the playoffs. The Vancouver Canucks got some good news Saturday when star center Elias Pettersson, who has been out with a sprained knee for the past nine days, took to the ice. Unfortunately, he skated only with skills coach Glen Carnegie, however, it’s an important part in Pettersson’s recovery, according to Sportsnet’s Iain MacIntyre. The 20-year old suffered a first-degree sprain when he was pulled to the ice by Montreal’s Jesperi Kotkaniemi on Jan. 3. However, Pettersson is getting closer to a return as he managed to twist and turn through drills during a 25-minute skate, much longer than his skate on Friday. However, head coach Travis Green said that while Pettersson wants to return to the lineup as soon as possible, he must still get through a full practice with the team, meaning he will not return for Sunday’s game against Florida. Fox Sports’ Jon Rosen writes that despite only having acquired him in November, the Los Angeles Kings are likely going to shop veteran Carl Hagelin at the trade deadline and move on from him. The 30-year-old has only appeared in eight games with the Kings since being acquired from Pittsburgh for Tanner Pearson due to injuries, but the team will likely want to get something for Hagelin, who will be an unrestricted free agent this summer. The main purpose of moving Pearson was to free themselves of his contract which still had another two years remaining at $3.75MM. If they can flip Hagelin for future assets, then the team should help themselves in multiple ways. Kevin Kurz of The Athletic writes that the San Jose Sharks have activated defenseman Justin Braun off of injured reserve for tonight’s game against Ottawa. Braun has been out since Jan. 2 with a knee injury, but should immediately provide the defensive depth the team needs on the Sharks’ third line. Braun has been averaging just under 20 minutes a game for the Sharks this season despite not providing much offense this season. He has one goal and nine points in 42 games. The Department of Player Safety announced that San Jose Sharks defenseman Erik Karlsson will have a hearing tomorrow for an illegal check to the head on the Los Angeles Kings’ Austin Wagner during the second period of Saturday’s game. Karlsson has never been suspended in his career and was fined just once for a slash in 2012. While there was no penalty on the ice, Wagner was forced to leave the game and never returned. While there was some contact to the head, it might be more challenging for the Department of Player Safety to determine if the hit was intentional and meant for the head. Wagner and Karlsson also had an issue earlier in the shift, which could suggest that there may have been payback involved, something the league will factor into their decisions as well. As for Wagner, the 21-year-old left the game not long after the hit and a representative of the team referred to him out with an upper-body injury. The hope is that he isn’t out long, if at all. The team is already without a number of key players, including Trevor Lewis, Alec Martinez, Carl Hagelin, Jonny Brodzinski and Dion Phaneuf. However, Helene Elliott of the Los Angeles Times writes that Wagner is expected to join the team for their road trip to Las Vegas for Sunday’s game against the Golden Knights, although that doesn’t mean he will be cleared to play. Speaking of the Vegas Golden Knights, David Schoen of the Las Vegas Review-Journal writes that defenseman Colin Miller remains day-to-day with an upper-body injury after missing his second straight game. He, however, has not been placed on injured reserve. However, Miller is expected to be back soon. Miller has been critical to the team’s offense since the return of Nate Schmidt. Miller has two goals and six assists since Schmidt returned from a suspension in mid-November. When the Los Angeles Kings fired head coach John Stevens on November 4th, the team was 4-8-1 with a points percentage of .346. Since then, L.A. is 7-10-0 with a points percentage of .412. Despite the change behind the bench to Willie Desjardins and also the swap of Tanner Pearson for Carl Hagelin, not much has really changed for the Kings. As such, it’s no surprise that GM Rob Blake is still searching for another trade partner to shake up his roster. The Ottawa Sun’s Bruce Garrioch reports that the Kings are actively working the phones and are hoping to make another move ahead of the NHL’s holiday roster freeze, beginning on December 19th. That gives Blake ten days to put together another trade. A rumor emerged yesterday that the offensive struggles and hefty contract of Jeff Carter, who lacks any trade protection, could lead the Kings to move the former scoring star this season. However, Garrioch feels that Tyler Toffoli is the more likely name to move next, stating that L.A. is receiving plenty of interest in the young winger. Toffoli’s $4.6MM cap hit is only about $700K less than Carter’s, but expires at the end of next season, whereas the 33-year-old Carter has three years remaining after this season. On top of that, the 26-year-old Toffoli has only two less points than Carter thus far and has the relative youth to change his game on a new team and return to his previous 50-point pace of play. Carter may simply be slowing down and may not be able to make a similar post-trade adjustment. Blake is likely impartial when it comes to moving his disappointing forwards and is likely to get a better return for Toffoli, despite Carter’s name value. In terms of finding a trade partner, Sportsnet’s Elliotte Friedman hears that the market is active right now. Friedman relayed the opinion that the resolution of the William Nylander situation in Toronto has re-ignited trade interest in other players across the league. In naming a number of teams reportedly looking to make a deal, Friedman not only names the Kings, but also a pair of potential matches in the Boston Bruins and Minnesota Wild. Both teams have strong rosters capable of competing for the Stanley Cup this season, but have run into struggles lately for one reason or another. Both Boston and Minnesota share a need for secondary scoring and have the intriguing young and fast forwards that L.A. would likely look for in return. The Bruins could move on from a Danton Heinen or Anders Bjork to add Toffoli, while the Wild could part with Charlie Coyle or Joel Eriksson Ek. Other teams that would seem to be fits to add a Kings scoring forward include the Carolina Hurricanes, New York Islanders, or Philadelphia Flyers. If Garrioch’s report that Blake is eager to make a move before the Christmas break proves true, a deal involving these players and teams could be on the way soon. The Los Angeles Kings just can’t get things going on the injury front as the team suffered another setback as they announced that winger Ilya Kovalchuk will miss four weeks after undergoing an ankle bursectomy procedure this morning. Head coach Willie Desjardins said that injury is more of an infection of the bursa sacs, according to Fox Sports’ Jon Rosen. The procedure deals with bursa sacs, which are fluid-filled sacs that cushion high friction areas such as joints. Those sacs have become infected and required a surgical procedure to correct. Kovalchuk had been struggling lately with the Kings as he had been demoted from a top-line player to the bottom-six for the last few games as many questions had started to arise surrounding new head coach Willie Desjardins sudden benching. Whether the injury had anything to do with it is unknown, but Kovalchuk, who has just five goals and 14 points in 25 games this season. While those numbers are respectable, he has failed to register a point in the past 11 games, quite unlike the 35-year-old star. Throw in the fact that the Kings have just four wins in the last 12 games and none of the team’s losses provided them with even a point and the team sits in last place in the NHL standings. The surgery could explain the team’s claiming of Nikita Scherbak earlier today as the team is up against the cap and have Carl Hagelin on LTIR currently. The team was expected to have some serious cap issues once Hagelin was to be activated (he’s out three to five weeks with a lower-body injury), the team would have trouble getting below the cap. Scherbak’s contract wasn’t going to improve things in L.A. However, with Kovalchuk going on injured reserve, the team may have some extra means of staying ahead of the cap. Monday: Hagelin will miss four-to-six weeks, reports Jon Rosen of LA Kings Insider (Twitter link). Sunday: The Los Angeles Kings can’t seem to find any continuity as injuries continue to play a part in the team’s downfall this season. After just having acquired veteran Carl Hagelin from the Pittsburgh Penguins for Tanner Pearson, the Kings announced they have placed him on injured reserve with a lower-body injury and consider him to be “week-to-week,” with an MCL sprain. He will have an MRI on Monday. Hagelin was starting to connect in his time with the Kings, having played five games now with Los Angeles. Hagelin has been a big influence on rookie Matt Luff, who has posted three goals in the three straight games for the Kings. Hagelin assisted on two of them. He had fallen out of favor in Pittsburgh as he averaged under 15:00 per game in November, but has received more playing time in Los Angeles, averaging close to 16 minutes per contest. 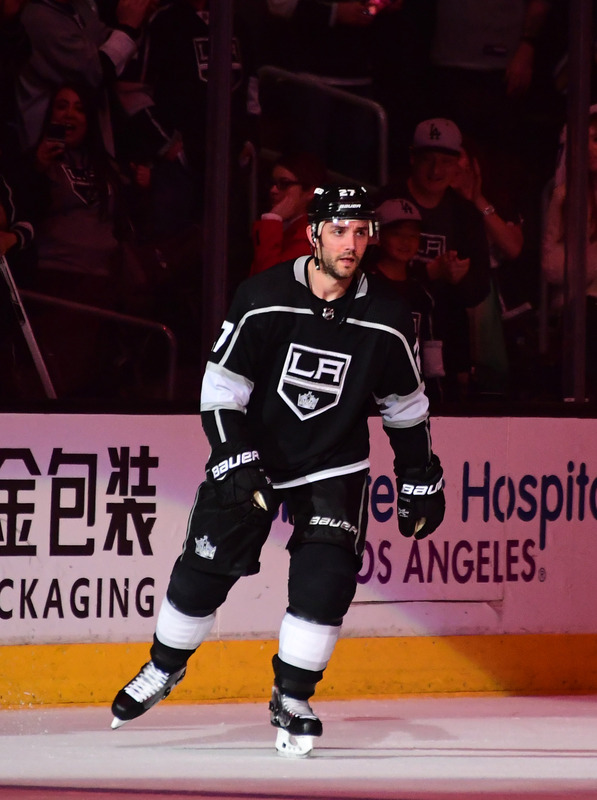 The team has recalled Michael Amadio from Ontario, who has already appeared in 13 games for the Kings this season, although he has scored just one goal in that time. Amadio has played just three games for the Reign, putting up three assists.